Congratulations on your upcoming wedding. To help our brides, we have created a bridal sarong package. This is a must have for brides having a destination wedding or having their wedding on the beach. 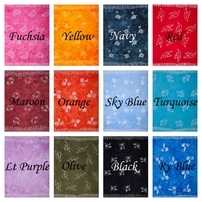 These sarongs also make a wonderful gift to thank your bridesmaids, friends and family. In this bridal package you will receive eight matching kedua sarongs and eight coconut sarong ties for the bridesmaids. 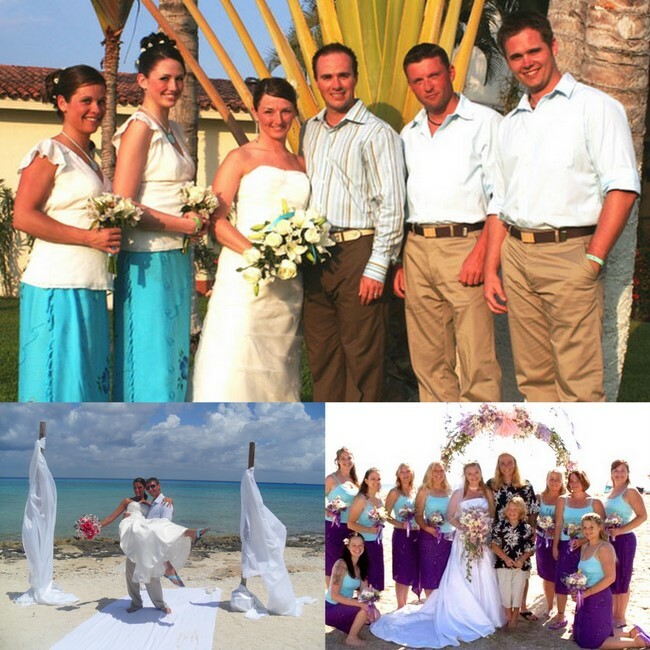 For the bride, we also include a beautiful white embroidered sarong with a mother of pearl sarong tie. Please note color, size and design will vary due to the nature of these items. Handcrafted in Bali. Please give us your sku number design / color preferences when checking out under comments and we'll do our best to fill these preferences. Additional sarongs or sarong ties and can be ordered.